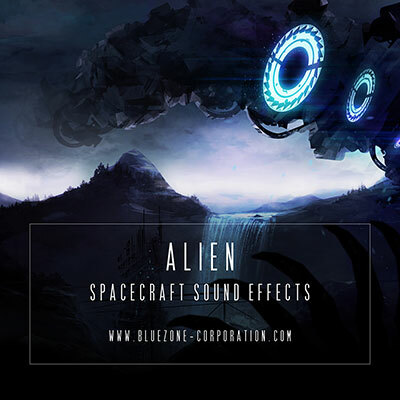 Bluezone releases 'Alien Spacecraft Sound Effects', a new sample library offering a wide range of inspirational spaceship sfx. Backed with complex and varied sounds, this sci-fi sample library brings you production-ready elemants as: alarms, alien synthetic textures, exterior and organic interior background sounds, reactor rumbles, explosions, futuristic interface and beep sounds, spacecraft passby, machine room ambiences and more. Every sound in this cutting edge collection will stimulate your creativity: All these samples were created from hardware synthesizers and field recordings, and have then been twisted to add an inspiring alternate-reality sonic character. WAV files are provided as 24 Bit / 96 kHz and sorted in 11 folders. In order to give you ready-to-use sounds for your productions, all samples are royalty-free for all your commercial projects.